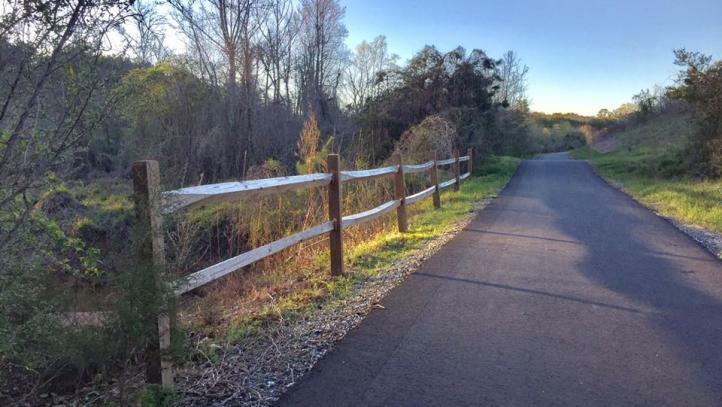 Named after the Purple Martin bird that appeared on General Griffith Rutherford&apos;s family crest, the Purple Martin Greenway is Rutherfordton&apos;s first natural trail system. Along this trail you can explore wildlife, creeks, a small waterfall and local plant life. The trail is bike, kid and pet friendly as well as handicap accessible. Located just off US Hwy 221, south of downtown Rutherfordton, phase 1 opened in the fall of 2015 and includes an easy stroll along Cleghorn Creek. The trail is set to continue north and eventually connect downtown, Kiwanis Park, and ultimately the Isothermal Rail Trail. It will feature creative works by local artists and interesting facts about the town&apos;s history. Looking for more fun? 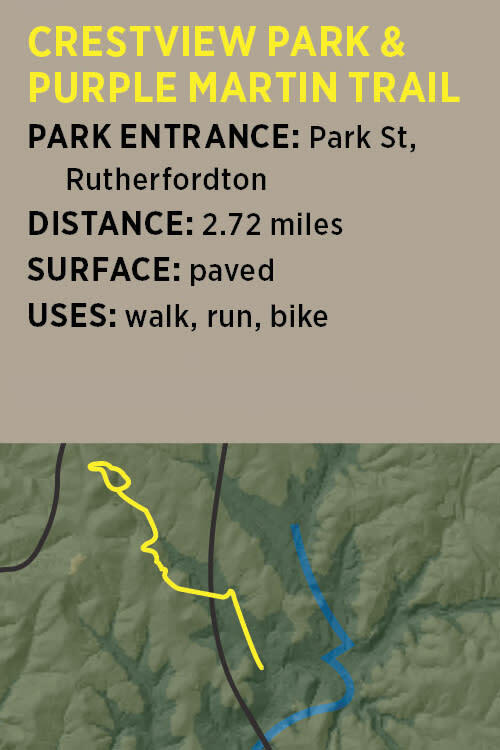 Pick up an Adventure Guide at most downtown retailers or go online to RutherfordtonTrails.com.